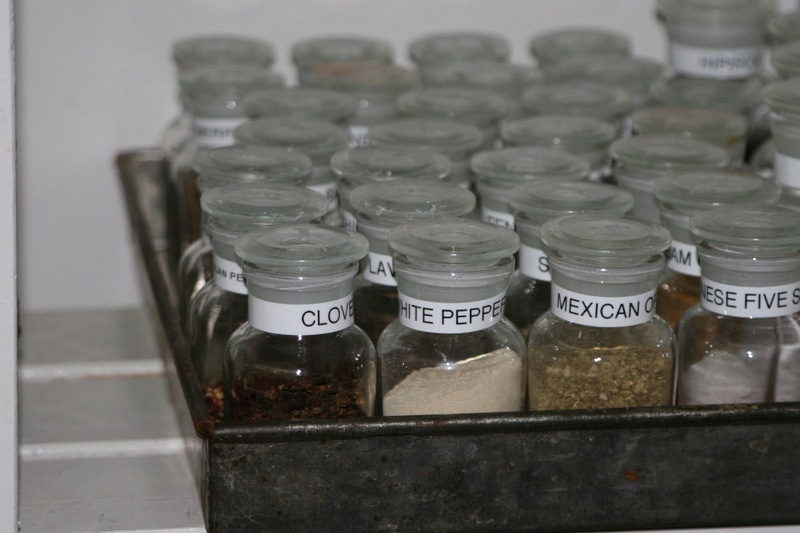 One New Year's Resolution involved organizing and cleaning up the kitchen spices. Almost done! I have to say, however, once they were tossed out, organized, corralled and labeled, they looked a bit sad. I keep my spices in alphabetical order. Is that taking things too far? We will alphabetize ANYTHING! This was our first take, still working on the spices but when all is said and done, they will be in alphabetical order. But here is my question to you -- is white pepper under "Pepper" or is it "White Pepper" ?? ?